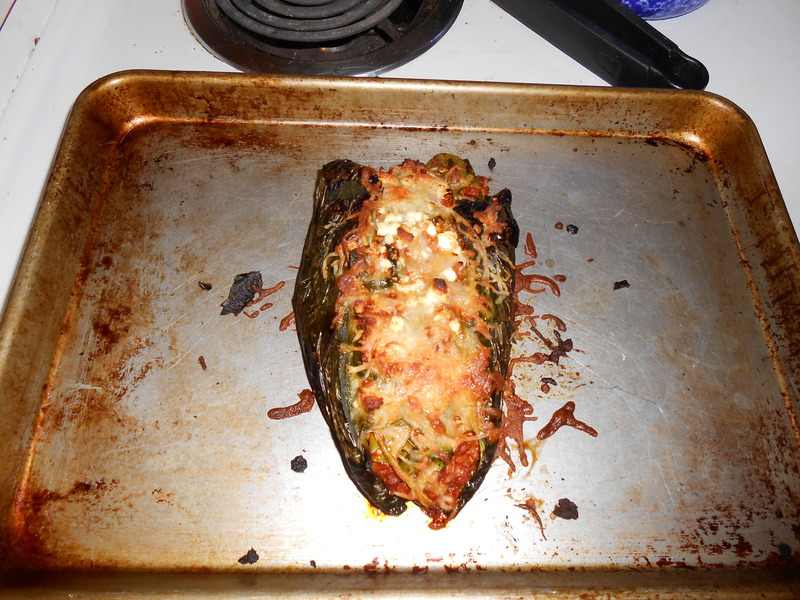 I’ve been trying to do stuffed poblanos ever since I read about a beer-bean risotto stuffed one from the Sprouted Kitchen cookbook. But, of course I never have any of the ingredients to make it. Since Trader Joe’s opened, I, along with many, have been scouring the obscure TJ products found no where else. I found this soy chorizo and decided it would be a good pepper-stuffer. While the pepper is in the oven, heat up some onions and garlic, chorizo, jalapenos, really whatever you’ve got. I think I would put some rice, beans, and tomatoes and had less chorizo. I would also recommend some frozen spinach. I ended up just wilting in some spinach at the end. 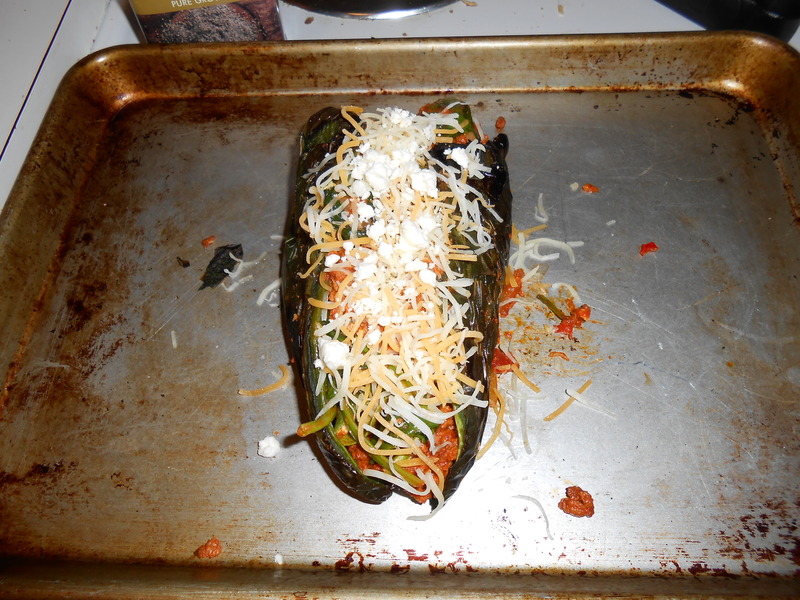 When the poblano is ready to be stuffed, mix your filling with some cheese and salsa, and stuff away! Bake in the oven for ~15 mins at 400 degrees F.